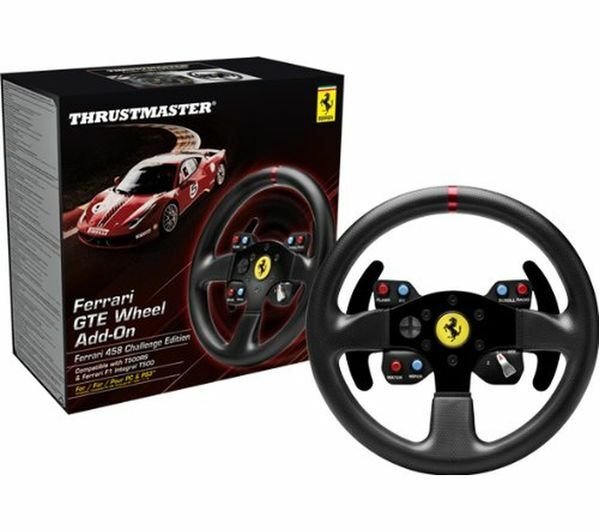 Upgrade your compatible Thrustmaster racing wheel with the full-size, fully licensed replica Ferrari 458 Challenge Edition Add-On Wheel. 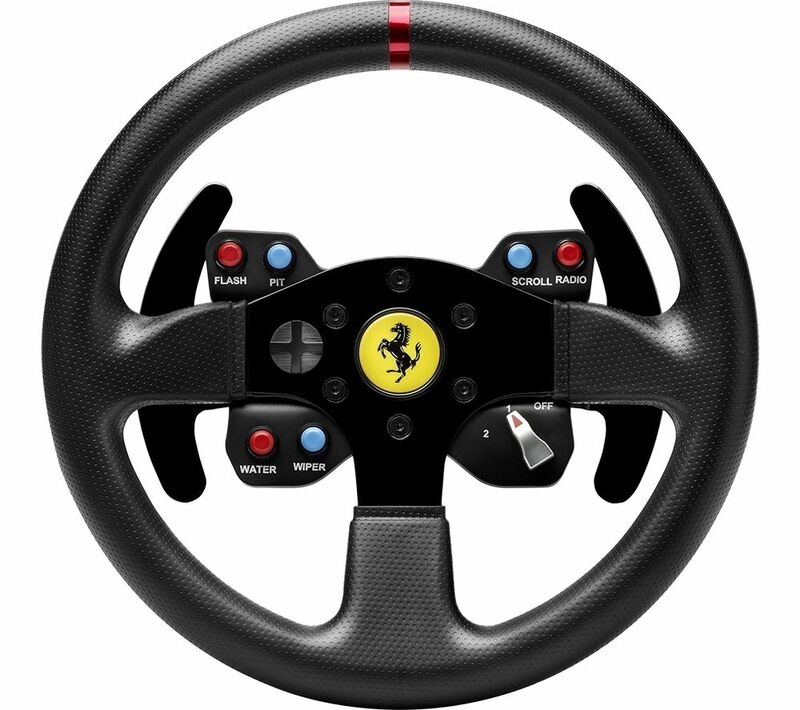 The wheel has a rubber textured grip for long races and provides realistic force feedback, so you'll be able to imagine you're racing a real 458 Challenge machine. The six buttons on the wheel replicate those on the actual wheel and control the usual menu functions. There's also a three-position dial, and paddle shifts for gear changing.